Hailing from Murfreesboro, indie band Awake! Awake! returns to the music scene with its newest release titled Bittersweet Horizons. This latest set, which follows the 2007 debut We’ve Been Strangers, combines their own contemporary approach with elements reminiscent of ’80s new wave. The band manages to successfully pull off a unique style that simultaneously sounds current and nostalgic. There is no evidence of any sophomore slump to be found here. Bittersweet Horizons begins with the brief and dream-like instrumental, “Colors,” and promptly fades into the fast driving opener, “Distance,” which more than signals the start of something great. “The words all change, scenery remains the same/go nowhere ‘til you learn, start listening,” insists lead singer David Johnson. This is good advice to all who may be listening because this is an album music fans will not just want to hear. They will want to invest the time required to immerse themselves into its entirety. “I can’t hear you because my ears are ringing,” Johnson powerfully declares in the guitar-heavy rock of “Firing Squad.” While it may not be enough to make all ears ring, its chorus is so catchy it is sure to become permanently etched inside the audience’s consciousness with just one listen. As the album continues, each song flows seamlessly into the next. “True North” is but one of the many high points and is full of highly emotive vocals drenched in an endless sea of droning guitar. Another standout track is “Sight,” which sounds like something that should be heard in heavy rotation on alternative radio’s current modern rock playlists. Finally, “Red” adds the perfect finishing touch and includes just the right amount of synths and guitar power riffs. Clocking in at just over five minutes, the album’s closing track sounds like the sun setting on the horizon, if such a thing could be heard in music. 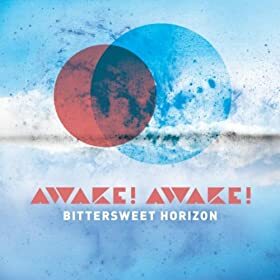 Bittersweet Horizons is a complete album of well crafted pop songs that is sure to provide a very enjoyable listening experience for fans of modern rock with a slightly retro sound. Obviously recorded with the intent to be listened to in its entirety, it includes a plethora of catchy choruses and memorable melodies within its top-notch songwriting and production. This locally produced example of pure pop/rock perfection deserves some national attention and recognition.